Winter beach day! Naomi Watts and Liev Screiber hit the beach over the weekend to go biking with the boys in Santa Monica, California (February 1st, 2014). It was the perfect sunny day for a family outing, and it’s no surprise this family chose to get out and about. 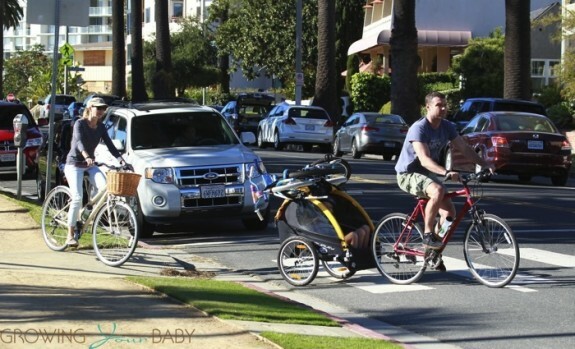 We know Naomi and Liev are one couple who love getting outdoors and getting active with the kiddos! Mom and Dad let Alexander and Samuel ride in the chariot with the bikes stored on top while they made their trek to the beach, then later let the boys bike themselves once they arrived. Along with biking, the family also took advantage of other fun activities on the beach. Naomi watched as hubby and sons climbed rope in the park, and Liev took the boys to the swing set to let them play. Naomi looked cute and casual in some lightwash jeans, sneakers, grey hoody sweatshirt, and hat. 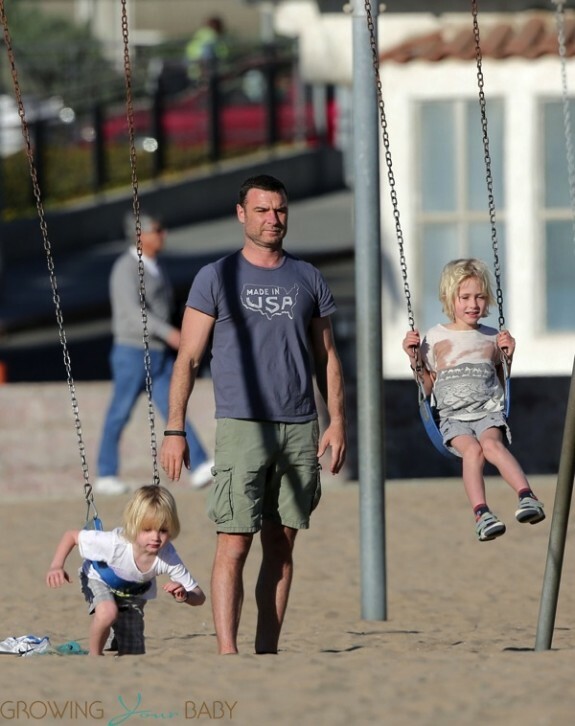 Liev wore some green cargo shorts and a relaxed “Made in USA” t-shirt, while the boys matched dad in casual shorts and sneakers. While much of the country has been experiencing frigid temps and lots of snow, Santa Monica provided an ideal location for Naomi and Liev to enjoy some warmer weather and sunshine with their sons. Looks like everyone had a blast! Rachael Wade is the Amazon bestselling author of THE PRESERVATION SERIES, LOVE AND RELATIVITY, and the upcoming New Adult sci-fi series, THE KEEPERS TRILOGY. When she's not writing, she's busy going to concerts, watching too many movies, and learning how to protect animals and the environment. She's an avid Brandi Carlile fan and loves all things Tim Burton. Visit her at RachaelWade.com and LightsOnLove.com, and come chat with her on Twitter @RachaelWade.